Does your Lenovo laptop need fixing in a hurry? Then come to The Electronic Fix! We specialise in all Lenovo laptop repair. Our team is professional and hard working, and we cover all our computer repairs with a 3-month warranty. We take pride in what we do, and we respect your property and intellectual property. Quality customer service is a key priority for us as we get quite a lot of business from positive word-of-mouth referrals. And we don’t mind doing that little bit extra to make you happy. We’ll even come and pick up your laptop from you for free. Lenovo laptop computer not working? 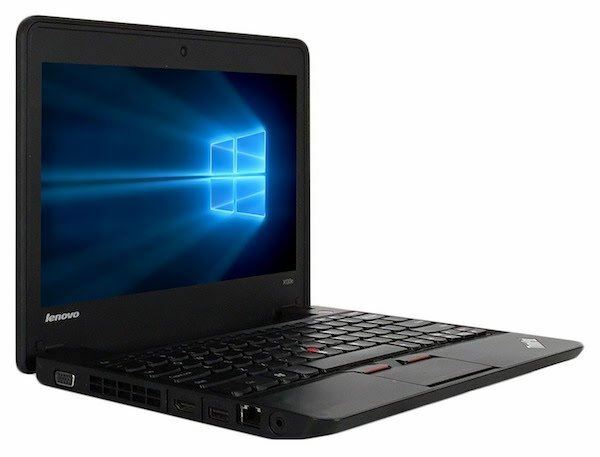 We offer Lenovo laptop repairs and Lenovo computer repairs for all models. During our time in operation we’ve seen many different issues; so if there is a way to fix it, we’ll find it. So you’ve got a cracked or broken Lenovo laptop screen? No drama—bring it to The Electronic fix. There’s no need to replace the laptop if you can replace the screen, right? Often you can do so for around $190. Either way, we’ll assess the damage at no charge and provide a quote for fixing it. Whether we like it or not, these days we rely on our electronic devices for our livelihood and to connect with other people. Don’t worry, we certainly understand how important your Lenovo laptop is to you, and we offer a very quick turnaround on repairs such as laptop screens. We can do this because we keep a lot of common screen in stock on premises. If you have a standard HD LCD screen, it’s a same-day turnaround, and if you have a rarer screen, it’s usually a next-day turnaround. You wouldn’t just hand your Lenovo laptop or computer over to anyone, would you? The Electronic Fix has more than 30 years’ experience and specialise in repairs. You could say we’re Brisbane’s most trusted Lenovo laptop repairer. The Electronic Fix has A+ certification for computer hardware and software. We’re qualified, experienced and know what we’re doing. If you get your Lenovo laptop fixed by us, and you have an issue at any time within 3 months, let us know about it. All our repairs are covered by a 3-month warranty. How much does it cost to repair a Lenovo laptop? At the Electronic Fix we like to give fixed quotes so you don’t get any last-minute surprises. And we think you’ll find our rates very reasonable, with repairs starting at $125 (for the first hour). Plus, we only ever charge a maximum of 2 hours labour. If you live in the vicinity of our North Brisbane office we’ll happily come and collect your Lenovo from you at no extra charge. How’s that for service? Contact us today to book in your Lenovo laptop for repair. Either call us on (07) 3613 0029, visit our office, or you can submit an online contact form. Find out more about our laptop repairs.